Taking pictures of your own gurning face and plastering it over the Internet is unquestionably the best thing you can do with a device that has the entire wealth of human knowledge only a tap away. The front-facing cameras that enable such a noble pursuit on most phones, however, tend to be low-resolution and lack the flash you find on the back. Not so with the HTC Desire Eye. This 5.2-inch Android phone separates itself from the rest of the Android world by virtue of its 13-megapixel front-facing camera, which also has a dual LED flash to illuminate your dazzling smile in even the darkest of places. It's the first phone to have such a potent front camera. It is, in fact, the same camera that you'll find on the back of the phone as well. 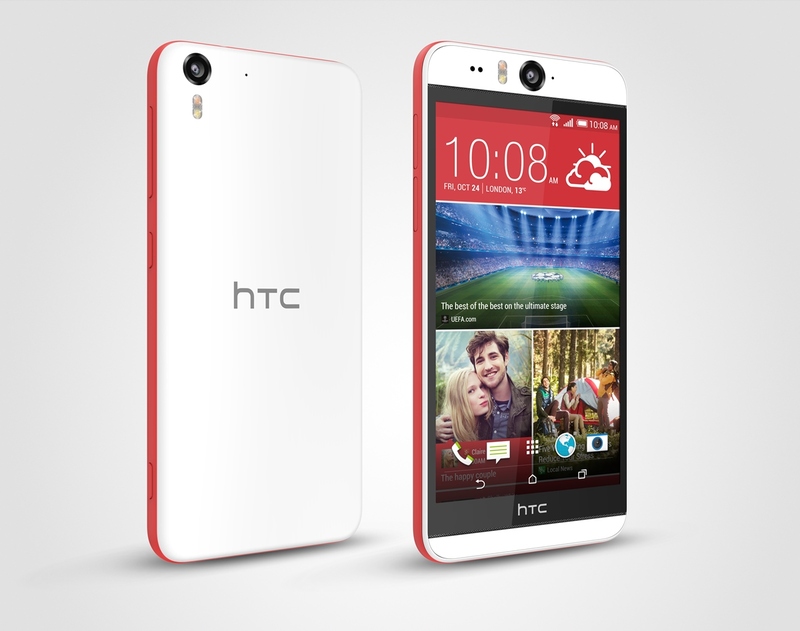 HTC announced the Desire Eye back in October, but up until today it hasn't been for sale in the subcontinent. After more than two months since its unveiling over there, however, the Desire Eye is finally advertised as being in stock by at least one mobile phone retailer in Mumbai. You grab the Desire Eye is priced at 38,000 taka, which means about $475. So this isn't dirt cheap, though on the other hand it does come with some pretty impressive specs, ones not previously seen on HTC's Desire sub-brand. The main selling point for the Desire Eye is surely its 13 MP front-facing camera, which even comes with a dual-tone dual-LED flash. The rear cam has the same resolution, while the phone's screen is a 5.2-inch 1080p panel. At the helm we can find the Qualcomm Snapdragon 801 chipset, with a 2.3 GHz quad-core CPU aided by 2GB of RAM and 16GB of expandable built-in storage. The handset runs Android 4.4 KitKat and has a 2,400 mAh non-removable battery.